Thanks to the sharp eye of Birgit Clark (once again!) 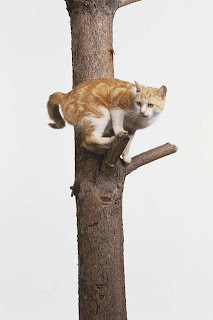 the IPKat can tell you all about the European Union's latest attempt at IP 'diplomacy' (a polite euphemism for "telling the Americans how to act in our interest rather than theirs"). Right: he may not frighten the Americans, but Ambassador John Bruton certainly scared the Kat! Ambassador John Bruton, Head of the European Commission Delegation to the United States, issued the following statement today highlighting the EU-US cooperation on global intellectual property enforcement and calling for the US to resolve outstanding IPR disagreements. "At a time when there is increasingly impressive cooperation between the EU and the US in combating intellectual property infringements, it is high time for America to resolve our outstanding IPR disagreements." As the stakes continue to grow in the intellectual property arena, the US should not weaken its voice in the debate by ignoring treaty obligations and WTO decisions. American delay on fixing the 'Irish Music' and 'Havana Club' cases diminish the arguments that both the US and EU countries have against China and other countries that continue to tolerate widespread intellectual property rights infringement. "Happily, our relatively few – but important – cases are to be seen in the larger transatlantic context where cooperation on intellectual property enforcement is working successfully to combat piracy and counterfeiting. Today's counterfeit goods aren't just handbags and clothing, after all. They are fake medicines, toys and electrical appliances, even knock-off airplane parts! Think about that as you board your next flight." Only recently, in November/December 2007, EU and US customs authorities worked together to seize over 360,000 counterfeit integrated computer circuits – critical to the infrastructure of modern business, healthcare, education and communication networks – with over 40 different trademarks. Such unreliable goods damage our networks and harm our economies by undermining the ability of European and American companies to compete globally. This 'Operation Infrastructure' was the first joint intellectual property rights enforcement operation undertaken by Customs and Border Protection and the European Union. "We need to resolve the 'Irish Music' and 'Havana Club' cases and sweep away these long-standing trade irritants in an area that grows more important with each passing day". * "Irish Music." Under Section 110(5)(B) of the US Copyright Act, most commercial premises in the US (e.g., bars, restaurants, retail shops) can retransmit broadcast music without paying any royalties to the copyright holders. In 2000, a World Trade Organization panel found Section 110(5)(B) to be incompatible with the Agreement on Trade Related Aspects of Intellectual Property Rights (TRIPs). 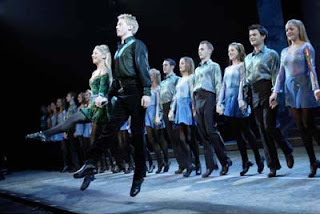 Left: how to take the fun out of Irish music -- Riverdance paramilitaries about to practise the goose step. Under the terms of a now-expired arbitration agreement, the US had in the past provided compensation directly to the EU right holders. The EU is not satisfied that the level of compensation was proportionate to the damage suffered, and in any event the compensation stopped in December 2004. The EU thus urges the repeal of the provision. * "Havana Club." Section 211 US of the October 1998 Omnibus Appropriations Act diminished the rights of owners of US trademarks and trade-names, which previously belonged to a Cuban national or company expropriated in the course of the Cuban revolution. It takes away the right to register or renew such trademarks and to enforce such trademarks in US courts. 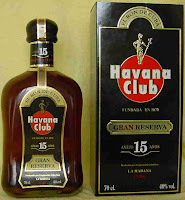 The particular trademark targeted by this legislation was the "Havana Club" rum, which has been jointly distributed by the European company Pernod Ricard and the Cuban company Cubaexport since 1993. Cubaexport had acquired the Havana Club trademark in the US in 1976 after the original owners, the Arechabalas, had let their registration in the US Patent Office expire. In 1997, drink giant Bacardi purchased the Havana Club trademark, the related goodwill and any rum business assets that still existed from the Arechabalas. This led to a dispute on the ownership of the trademark in the United States and to the enactment of Section 211 at the behest of Bacardi. The WTO Appellate Body found in 2002 that Section 211 violates both the national treatment and the MFN (Most-Favored Nation) obligations of the TRIPs Agreement. It however reversed the finding of the panel on Article 42 TRIPs (right to enforcement of IP rights in courts) and maintained the finding of the panel that the TRIPs does not govern the issue of the determination of ownership of IP rights. After several extensions, the period of time to comply with the WTO ruling has now expired since 30 June 2005. The EC has preserved its right to request the authorization to apply retaliation against the US. Several bills to repeal Section 211 are currently pending in Congress. The EC considers that only repeal would send the right message that one cannot play with IPRs to serve political goals, or to help individual companies win a decisive advantage in a commercial dispute. * EU-US Cooperation on Intellectual Property Rights Enforcement. As part of ongoing efforts to address counterfeiting and piracy and cooperate on enforcement of intellectual property rights around the world, the EU and the US launched an ambitious new initiative at the EU-US Summit in 2006. Key components of the effort include closer customs cooperation, joint European-American enforcement efforts abroad, particularly in China and Russia, and much greater collaboration with the private sector. (vii) you're quite right -- we should have complied with the WTO by now and will do so as soon as is feasible. Please accept our apologies. "Which of these is the least likely? ", she speculates. viii. Who are you again - and why should we care about what you say? Let us not forget in the Havana-club case the U.S. had attempted to hide behind procedural rules rather than the substantive law so don't be so shocked when they rely on "procedural rules" when not complying with their international obligations. Stirring it up: from Madras to Madrid? "Why is IP so unloved?" Somewhere to Park those Aussie bikes?